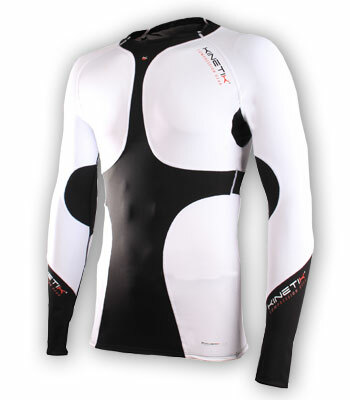 Swing Better and Play Harder with this Sports Compression Long Sleeve Shirt! The Golf Swing Compression Long Sleeve Top is a versatile addition for golfers! Lightweight and breathable, its specially developed technology surrounds and supports the key muscle groups in and around your core (abdominals, deltoids, spine and lumbar region) - ensuring the best combination of compression, comfort, and performance! The Golf Swing Compression Long Sleeve Top helps your swing by improving circulation and recovery time, reducing lactic-acid buildup, and enhancing strength and power. Compression panels traverse down and across the torso to support the abdominals, deltoids, spine and lumbar region. This versatile, form-fitting top features a long-waisted cut that holds your muscles tight for enhanced comfort and performance!